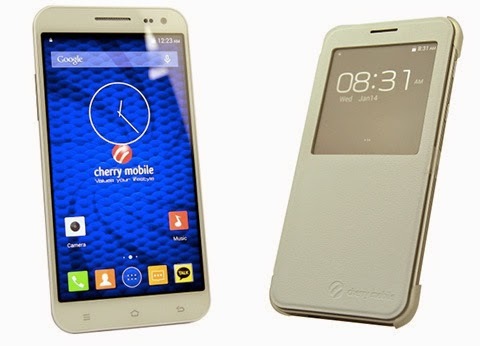 Cherry Mobile unveils the Cosmos One Plus smartphone shortly after releasing the budget-friendly Me Vibe handset. This device carries all the guts that most of the flagship phones have these days. Being the most powerful Cherry Mobile phone to date, we take a closer look on what makes this device a "Plus" in its own right. If we are to skip everything and be direct to the point, the new Cosmos One Plus phone is defined by its beefy 3GB of RAM (yes, it has the biggest RAM among any other locally branded phones to date), 4G connectivity and the 64-bit desktop class octa-core processor. In short, the handset just simply screams performance and power. 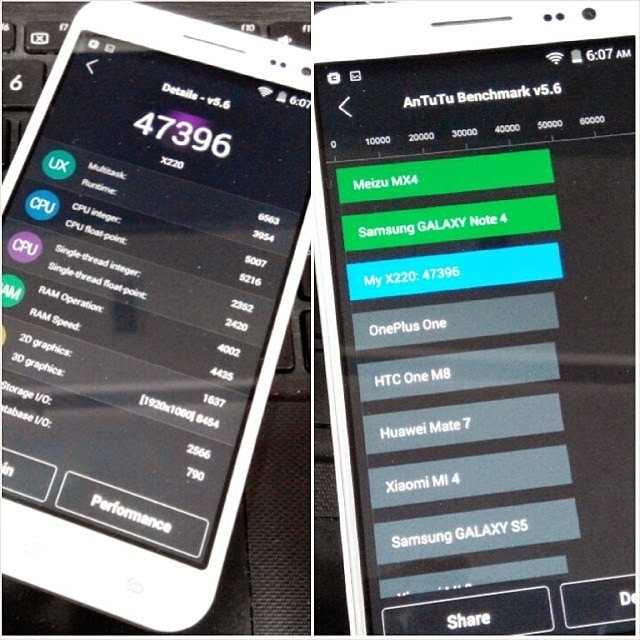 The Cosmos One Plus uses the MediaTek MT6595M which primarily packs the 2.0-gigahertz quad-core A17 processor and the 1.5-gigahertz quad-core A7 CPU. The package also include the PowerVR 6200 Rogue GPU. Cherry Mobile is also churning the higher-end local market with the 5.5-inch 1080p Full HD display which frames a 401ppi density. Likewise, the inclusion of the Gorilla Glass 2 that treats whole panel with scratch resistant capabilities justifies this claim. Moreover, you'll get the 14-megapixel offering of the Sony IMX214 sensor which is the same sensor used by the Google Nexus 6. Flipping the device you'll find the front panel houses the 8-megapixel secondary camera, ready to take all of your selfie shots. Other features include the 32GB of internal memory which is expandable up to 64GB via microSD card. There's also the complete set of connectivity features like the 4G LTE, 3G HSPA+ and WiFi. The 2700 mAh battery could make you ask for more but the promise of the latest Android 5.0 Lollipop update could get things going in power-efficiency level. For the price of Php 13,999, the handset scales in the same price standpoint of some mid-tier international brands. But given the bulk and power of the device's hardware, are you willing to pay your hard earned cash for it?